Car rental service with unlimited Km for all cars! Full Casco and RCA insurance included! 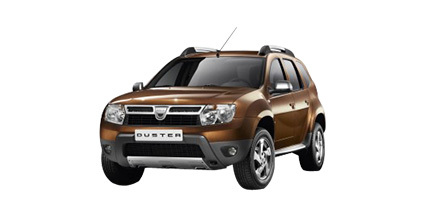 FocusRent offers you Dacia Duster starting from 30 euro/day! Choose this 4X4 car for offroad travels and benefit of extra comfort and space for passengers and luggage. Since it was launched, Dacia Duster is the most popular car available through our car rental services in Bucharest, our customers being very satisfied with this model. Because of its size, it offers great performances on both off-road and urban tracks. Dacia Duster, available through our car rental services in Bucharest and Otopeni, is an authentic crossover car. Its 4×4 command allows the driver to adapt the vehicle’s capabilities to its needs. Being a full-traction off-road car, Dacia Duster is perfectly suited for snowy and generally difficult roads. Also, for extra safety and comfort, it also benefits of a special suspension system and a design that is suited for travels, having a spacious trunk for all the necessary luggage when leaving for off-road adventures with your family. Besides a competitive price, our car rental services also include a full tank of gas, all the taxes and car insurances (RCA and full CASCO), without imposing a limit of kilometers. Choose Dacia Duster from FocusRent and we offer you free and fast delivery in Bucharest and free replacement for the rented car, in case of damage, in no longer than 5 hours. We are here for you 24/7, whenever you need car rental services, on our website, by filling the online booking form, as well as at our phone number (+4)0735-05-7777. Call now and book the car you need to rent!